Four hundred million cups of coffee—that is how much coffee Americans consume every day as a whole. I understand why people drink coffee. A cup of Joe can give you an extra boost of energy, it’s convenient, and, quite frankly, a habit for many people. In the world of instant coffee makers, it is normal to prepare a delicious cup of coffee in less than two minutes. As for myself, I don’t always drink coffee. In fact, I only own a coffee maker to have it on hand when I entertain guests. But, when I do drink coffee, I prefer organic. Popular instant coffee machines have been all the rage for quite a few years now. You can even make your favorite brand name coffee right in your own home. The coffee disc fits into your coffee maker, and they come in convenient flavors. What could be easier? There are just as many reported health benefits of drinking coffee. For example, some studies show that consuming coffee may protect you against Parkinson’s disease, Alzheimer’s disease, type 2 diabetes, digestive issues, stroke, pulmonary function, heart rhythm concerns, and it may also reduce the risk of certain cancers. Sustainability: Every disposable cup from your instant coffee machine adds up. That’s a lot of waste! The cups or discs you put into your coffee maker day after day cannot be recycled. There are some reports that the cups may become recyclable by 2020, but in the meantime what about that landfill? Chemical exposure: The coffee pods from the top instant coffee machines are seriously dangerous for your health. The plastic in the pods don’t contain the infamous synthetic compound bisphenol A (BPA); however, plastics can still leach into your coffee and create estrogenic effects. The pods also are covered with an aluminum lid, which is connected to neurological disorders, such as anxiety, depression, autism, celiac disease, and Alzheimer’s disease. Non-organic coffee also contains pesticides, fertilizers, herbicides, and other chemicals that can lead to inflammation, cancer, hormone imbalances, and nervous system disturbances. Furthermore, the natural or artificial flavors may contain monosodium glutamate (MSG), which may be the root cause to your post-coffee headaches. 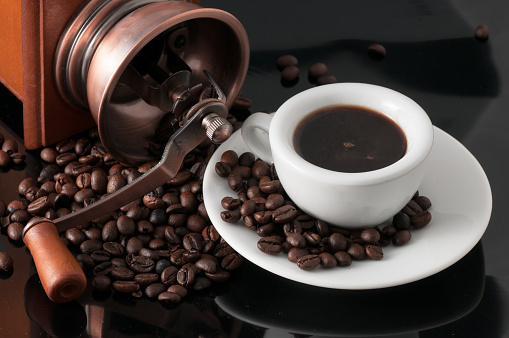 The coffee machine: The water in instant coffee machines is often very difficult to drain; therefore, mold and bacteria can form, which can lead to health problems. You can avoid harmful plastics and potential health risks with an inexpensive French press coffeemaker. It will only set you back around $15 to $25, and it will likely make a better cup of coffee. Coffee is considered a diuretic, so it can lead to dehydration. Big coffee drinkers likely don’t get enough water, and it actually takes less time to pour a glass of water than it does to make a cup of coffee. You may find that you drink less coffee when you drink more water and a variety of herbal teas. “5 Reasons Traditionally Brewed Organic Coffee Beats Your Keurig Pod,” The Alternative Daily web site, November 28, 2014; http://www.thealternativedaily.com/5-reasons-traditionally-brewed-organic-coffee-beats-keurig-pod/. Chamerlik, E., “Why I Kicked My Keurig to the Curb,” GreenMedInfo web site, October 28, 2014; http://www.greenmedinfo.com/blog/why-i-kicked-my-keurig-curb. Kannall, E., “What Are the Benefits of Organic Coffee Consumption?” SFGate web site; http://healthyeating.sfgate.com/benefits-organic-coffee-consumption-7584.html, last accessed August 19, 2015. Mercola, J., “Mounting Evidence Suggests Coffee May Actually Have Therapeutic health Benefits,” Mercola.com, September 16, 2012; http://articles.mercola.com/sites/articles/archive/2012/09/16/coffee-health-benefits.aspx.